Sean Keating sent me some photos he had received via via... 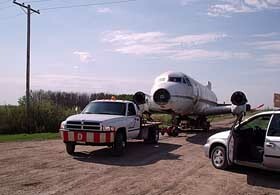 The original sender had a name and it seemed to me this plane couldn't have gone far from its homebase: Saskatoon. A little googling brought me to a company website and this person I had been looking for actually worked there: Cory Rousell. He has the most amazing story to tell, which he agreed to share through a page on my webside. You'll have to agree he's one Dad a lot of kids would wish for! 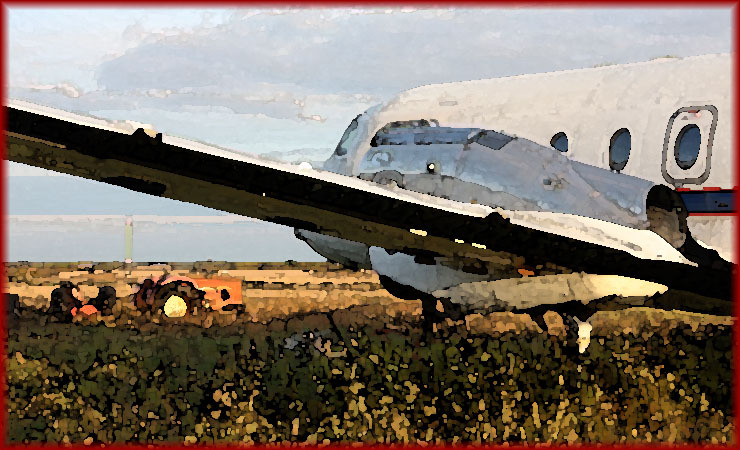 "The short version of the story of my is: I had always dreamed of having a plane when I was a young kid - even an old wrecked plane to play in. This never left the back of my mind. I am always doing things with my boys that some would consider "different". I built them a working train that travels around our yard (around 250M of track) that holds about 30 people, complete with a train station, crossing and bridge. Anyway, my brother is a commercial pilot and he flys for WestWind Aviation in Saskatoon, Saskatchewan. That's where my plane came from. 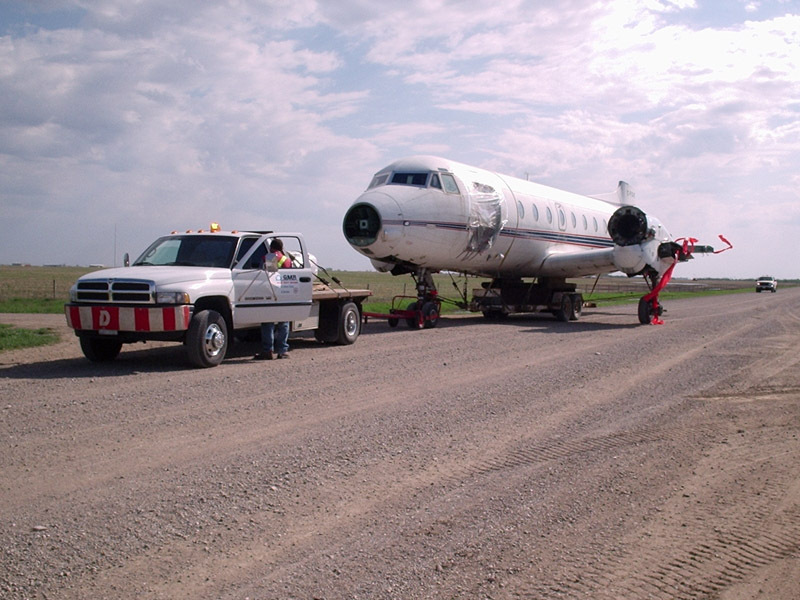 My plane was owned by a large mining company (Cameco) and it was operated by WestWind Aviation for them. 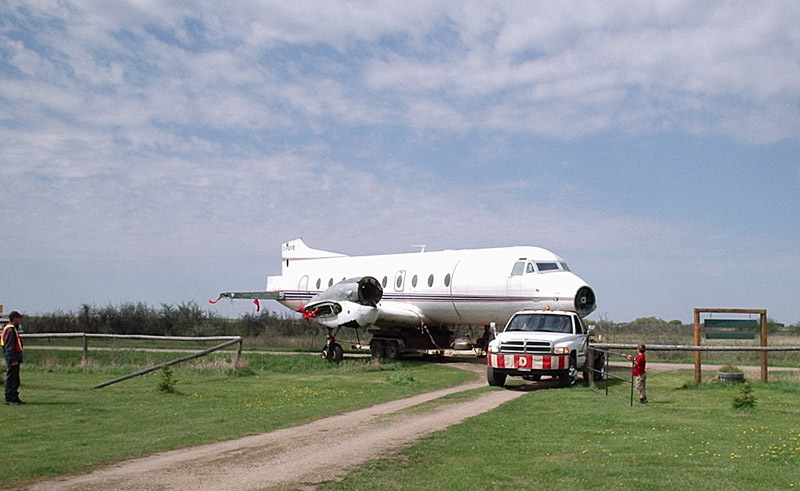 It would fly daily to and from the Uranium mines in Northern Saskatchewan - hauling workers and cargo. 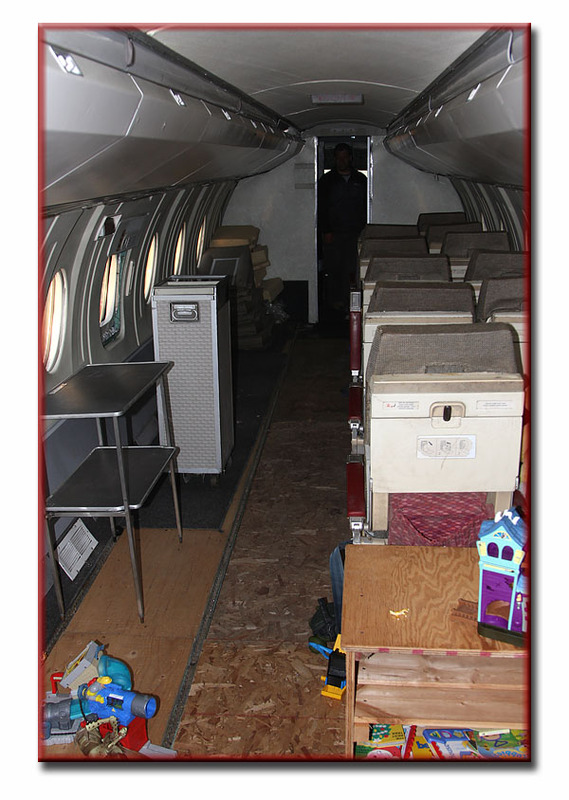 With the ever rising fuel costs, Cameco decided to replace their 2 HS 748's with newer, more economical ATR's. 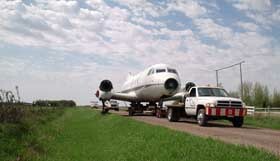 They sold one of the planes as is, to another airline company, but mine was used as a parts plane." 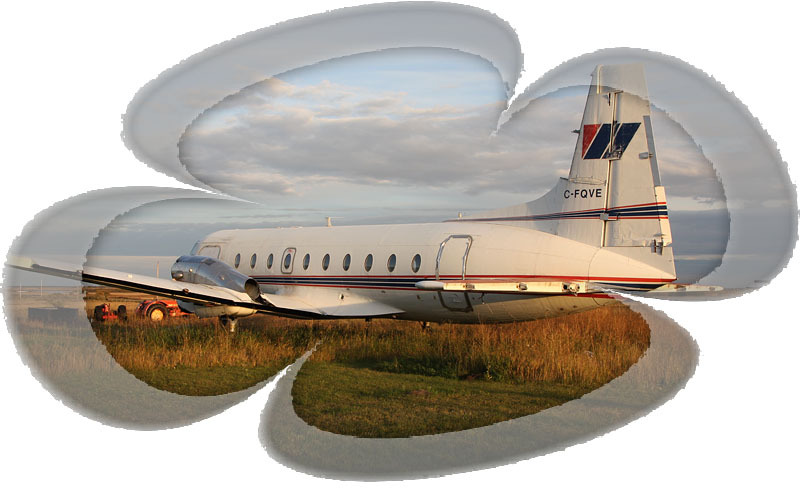 "When WestWind Aviation were done with it, I managed to acquire the remains of C-FQVE. 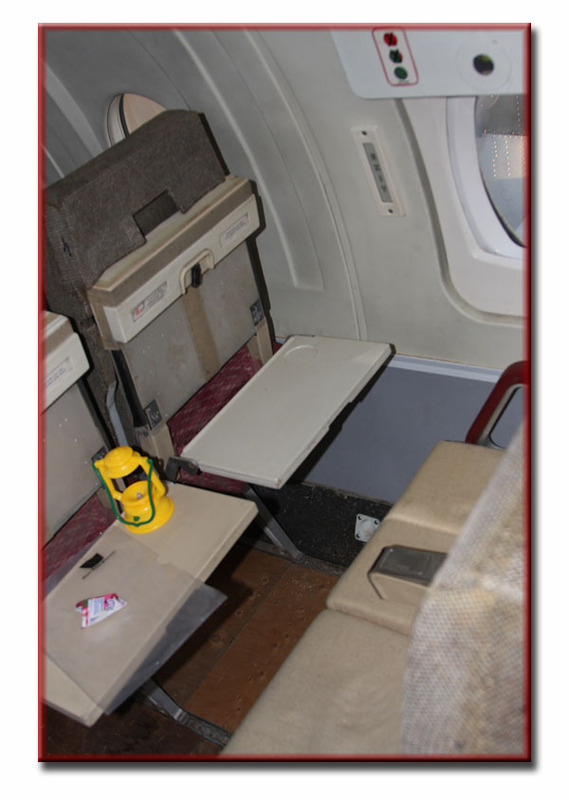 They had pulled the engines, avionics, seats and some other stuff and had really wrecked a lot of the interior getting at some of the parts, but after a lot of hard work, I have the cabin almost back together enough so that you can't tell anything even happened to it. 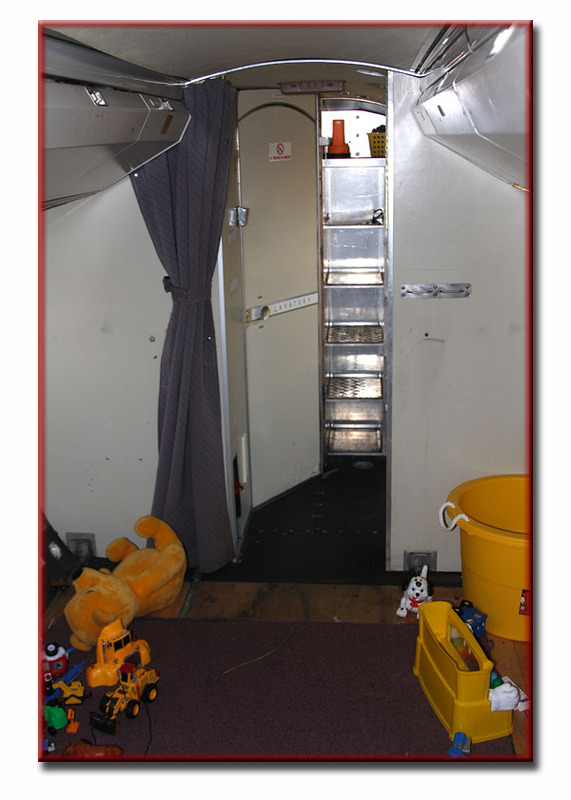 I got some seats and put a new floor in it, repaired all of the overhead compartments, and now it looks really good." 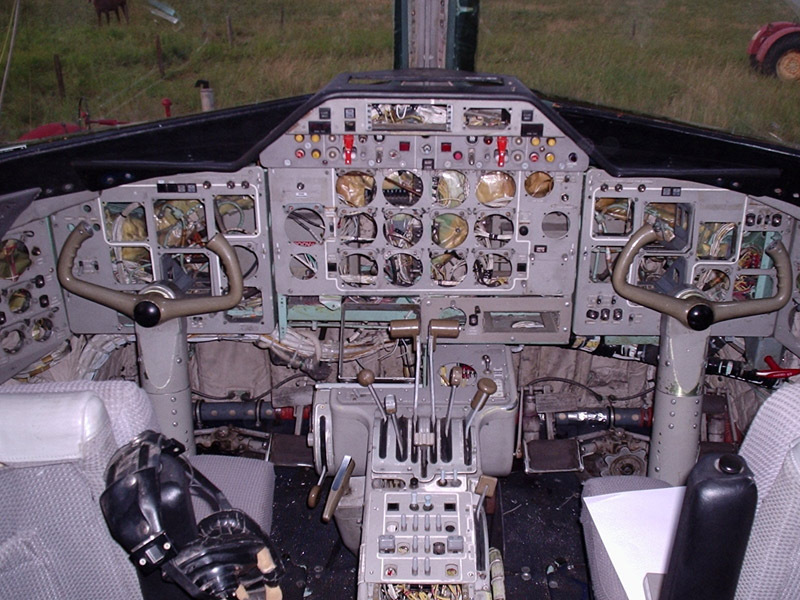 "The cockpit was in terrible condition, but again, after a ton of work it is starting to look really good as well. 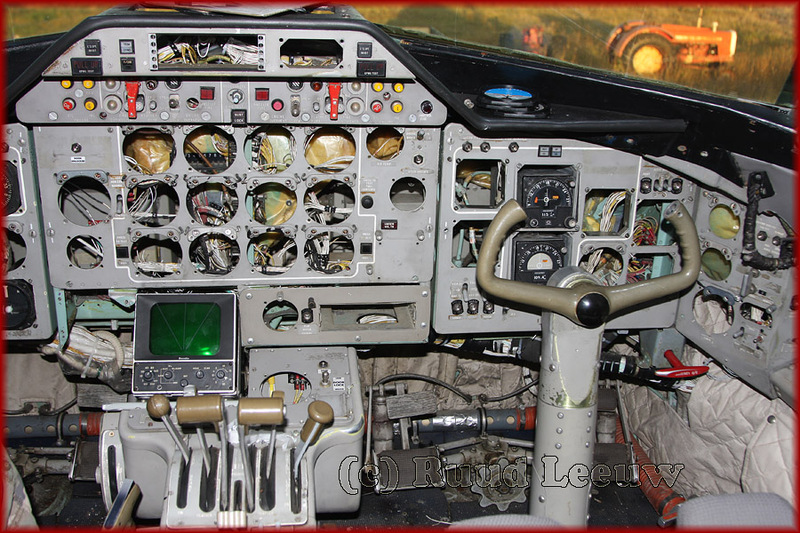 They had taken the pilot's seats, all the dash panels and switches - everything. I managed to get some of it back, after they had taken what they wanted out of it and I rebuilt it. I am buying the rest on eBay or wherever I can find it." "I am buying the rest of the parts on eBay or wherever I can find it. It changes all the time, as I have more time to put in to it, or find more parts. My goal is to restore it to almost original! I have a computer system in the cockpit, with surround sound and a sub, and I have this exact plane for MicroSoft FlightSim 2004. I will eventually hook the controls up in the plane to the flight sim. 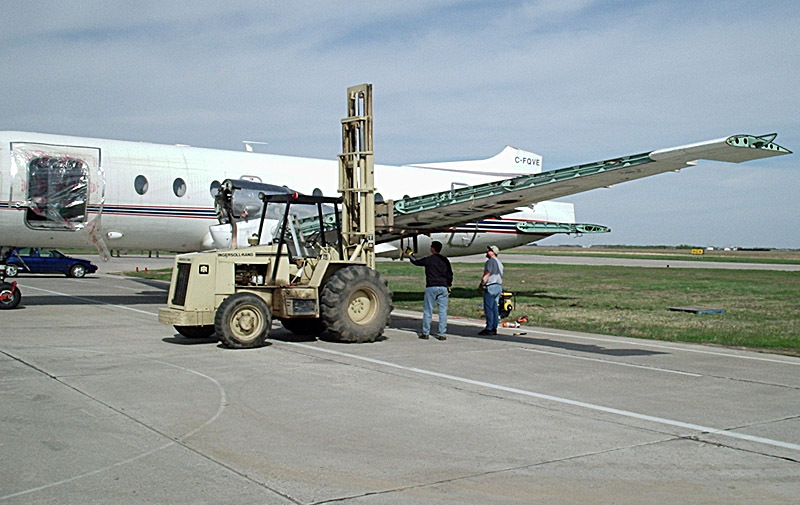 I may even use the OLEO's to have the plane move on the landing gear with the controls - use them as hydraulic cylinders to move the entire plane. That would be cool. I use the back right now for a movie theatre as well! It works out good, when we're not "flying" around." "Acquiring ownership of the plane was one thing - getting it home was another. I had to take it apart in order to get it home. This was all to be done at the airport where it was sitting. 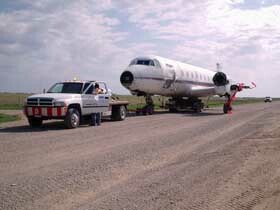 This was the International airport in Saskatoon, and they don't just let someone come and take apart a plane. It was a lot of work to get an OK to do it, but they were willing and after I proved that I was capable of doing it, they let me do it. This particular plane doesn't just un-bolt, so I had to cut the wings off just outside of the engines. The tail had to be cut as well, in order for me to get it home. The wingspan was 102.5' (around 34M). This had to be done in one day. 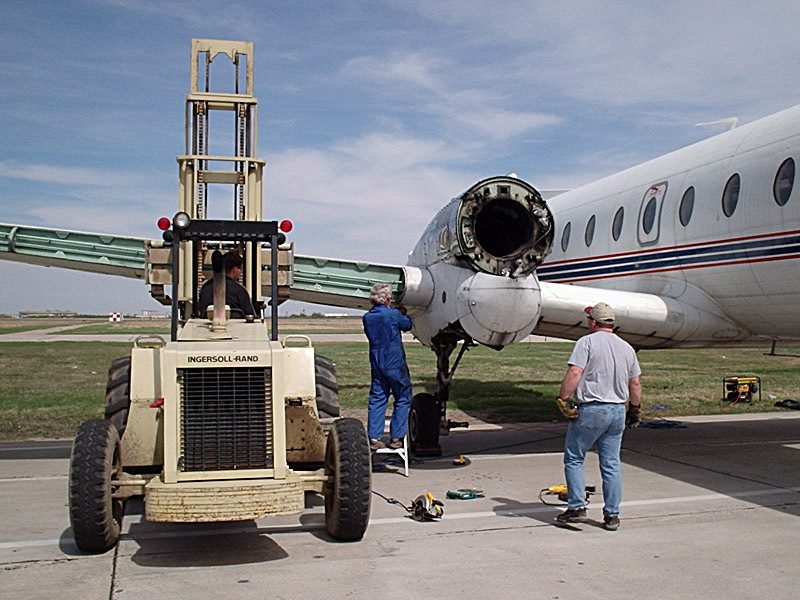 I had to cut through the wet-wings (fuel tanks) so they were concerned with that as well. It all went pretty well." I was going to tow this thing down a major highway to my house. It took almost three months of talking to get a permit, but after proving that I was capable, they allowed me to have a permit. 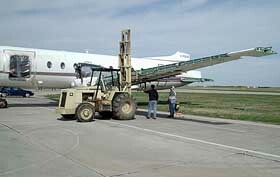 I had to build a cradle to put on my trailer to put under the belly of the plane. The wheels were too far apart to travel down some of the roads that I had to travel on. The wheels would be down in the ditches and the plane would get high-centered." 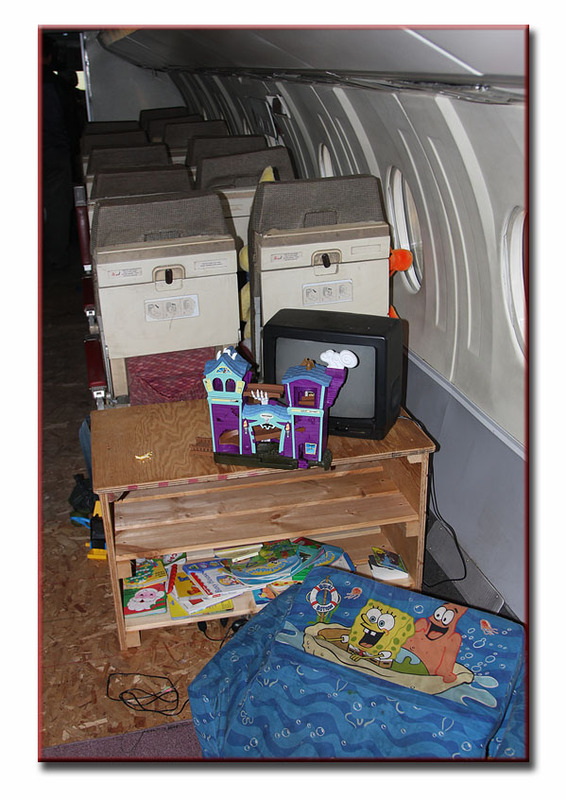 "It all worked out and C-FQVE made it home in June 2006. 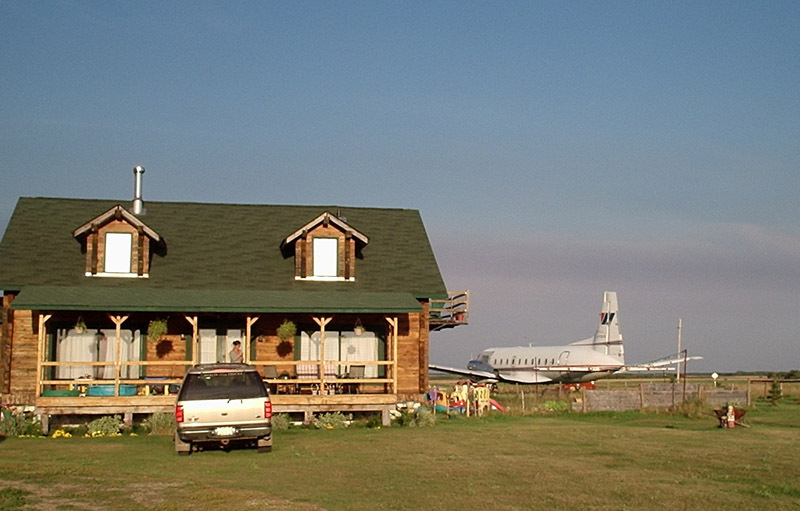 I live about 25 miles from the airport." "When I got the plane home, I wanted it to look right, so I put the wings and the tail pieces back on and hooked up all of the controls as well. This was a huge job as well - all I have at home is a really old tractor with a front end loader, with a lift of about 3M. I got the pieces re-attached with aluminum plates and welding, riveting and screws. The wing tips that I cut off were almost 12m long and weighed a lot... They wouldn't support the plane in flight, but have already withstood some very substantial winds. It makes the plane look as it should do." 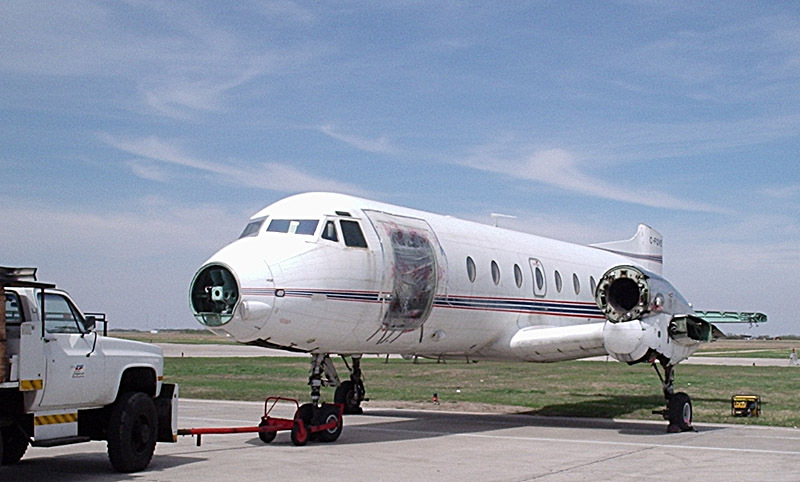 C-FQVE is a Hawker Siddeley (BAe / Avro) Hs.748 Series 2B with construction no. 1792. Its first flight was made on 17Jan84. British Aerospace (BAe) had it registered as G-BJTM. 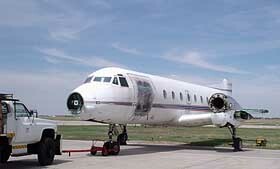 It was initially sold to the US and registered N750AV for Air Virginia, however this deal feel thru. Its first operator was found a bit closer to home: DLT (Deutsche Luftverkehrsgesellschaft) of Germany, which had it registered as D-AHSE and it was delivered on 15May84. In May 1989 it was stored at Manchester,UK; G-SSFS became its new tailnumber when BAe bought it back. 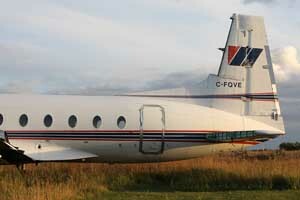 Finally it did make it across the Atlantic when West Wind Aviation bought it (21Oct93) and registered it as C-FQVE. Turbo Prop Airliner Production List, by J.Roach and A.B.Eastwood (TAHS, 2003). 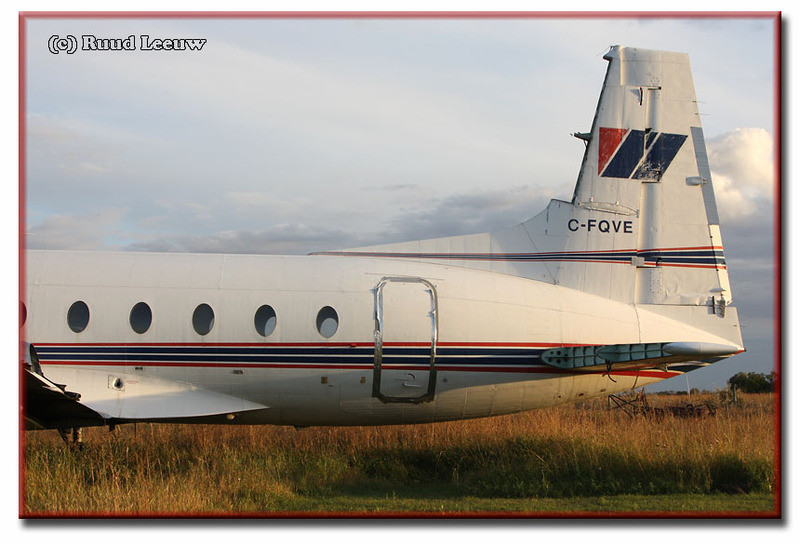 As Cory Rousell himself wrote, at some point C-FQVE had finished its useful life with West Wind Aviation and was used as spareparts supply. 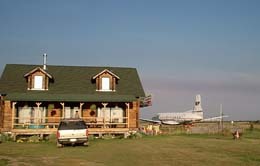 "Here are two pictures that I took of the plane last night (30Aug06), showing it near my house. 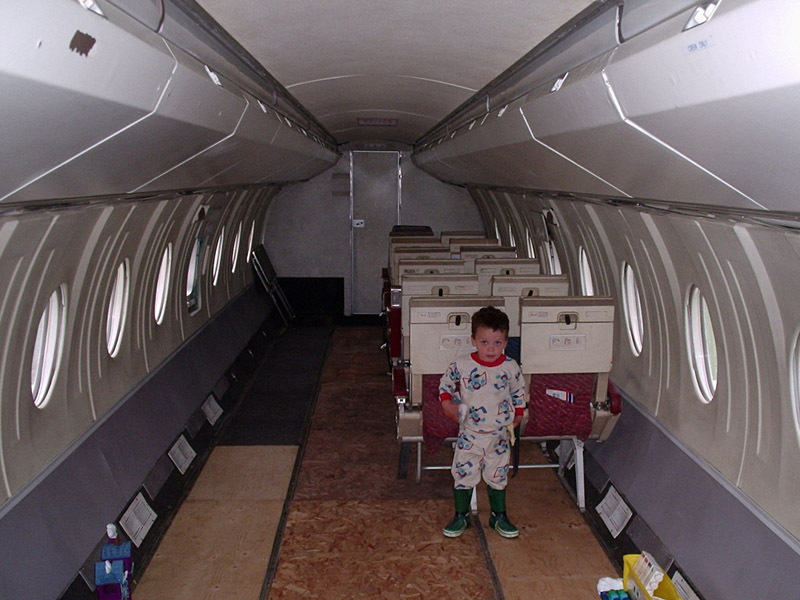 It sort of makes my house look small...."
Registered as G-BJTM to British Aerospace Aircraft Group 07Dec81. Originally built for Air Virginia with registration N750AV provisionally reserved but aircraft stored unmarked and unpainted until first flight 17Jan84 as G-BJTM. Sold to Deutsche Luftverkehrsgesellschaft mbH (DLT) and delivered as D-AHSE 15May84 via East Midlands where aircraft was painted. Finally delivered East Midlands-Düsseldorf 20May84. Withdrawn from use Dec88. Ferried Woodford 19May89. Later ferried to Manchester for storage with FFV Aerotech Ltd. 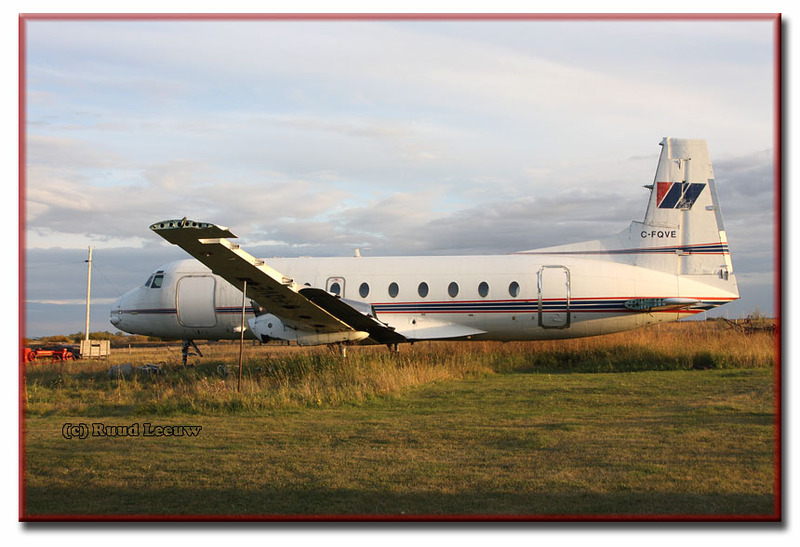 Registered as G-SSFS to British Aerospace plc - Regional Aircraft 06Mar92 and flown as such from Manchester 10Apr92. Carried out a Middle East tour 01-19May92. 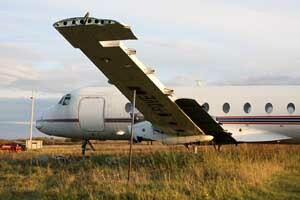 Used as BAe company communications aircraft between 26May92 and 16Apr93. Stored Hatfield from 23Apr93. Registration cancelled 20Oct93. 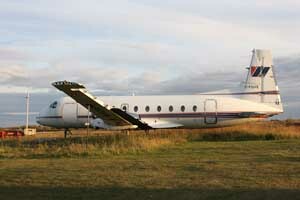 Sold as C-FQVE and delivered ex Hatfield 21Oct93 to V. Kelner Airways Ltd for onward sale. 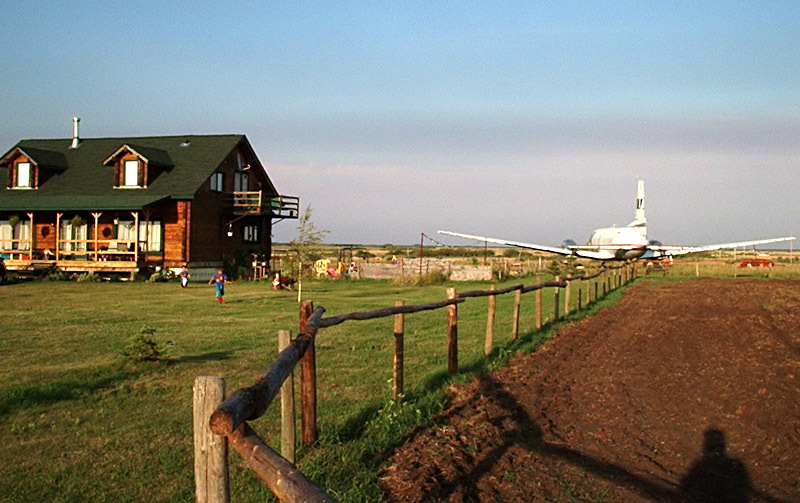 Registered to West Wind Aviation Inc 20Dec93. CofA issued 07Jan94. Entered service 10Jan94 between Saskatoon and Key Lake. Noted Saskatoon 10Oct05 engineless and with many parts missing. Registration cancelled as "aircraft destroyed" 28Apr06. Total time in excess of 26,696 hours, 27,112 landings (figures as in Aug04). 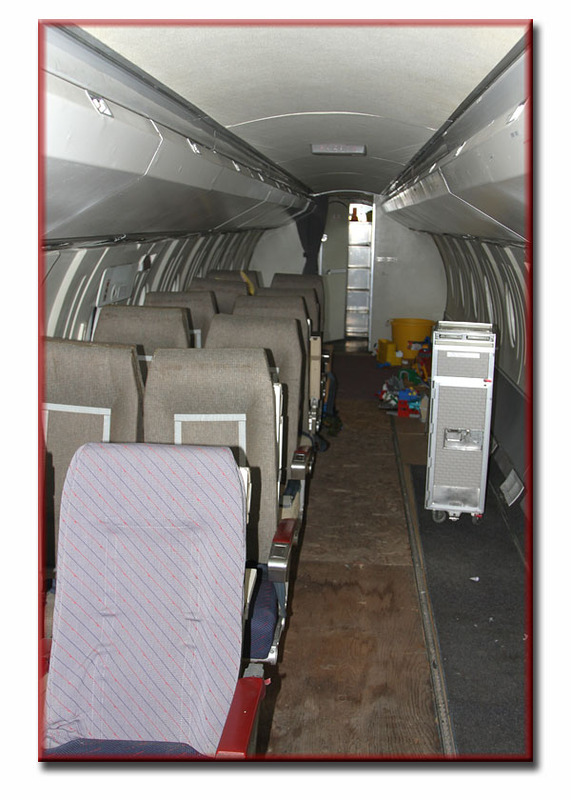 "I now have some additional information on this aircraft thanks to Cory and his brother Darcy. The aircraft carried out its last revenue flight on 28Jan04 and it was used as a spares source for the company's other 748. 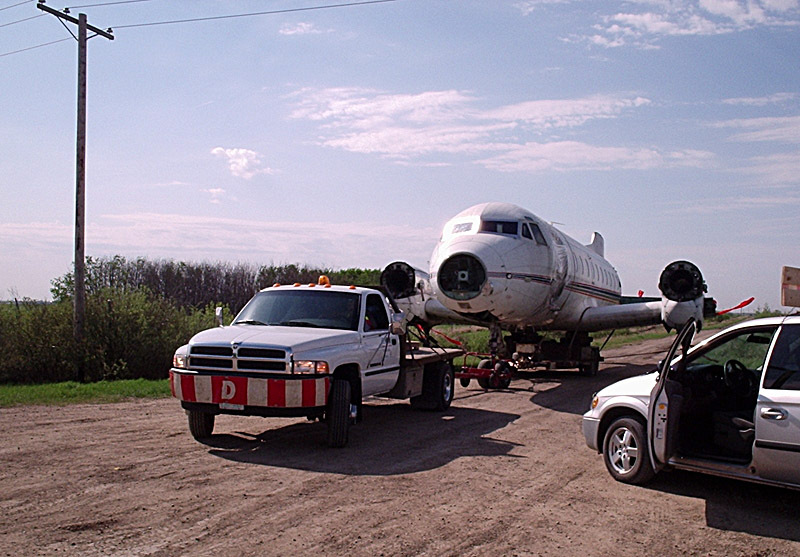 The wings and fin were removed at Saskatoon on 06May06 and it was towed to Cory's home on 16May06. The total airframe hours and landings are now confirmed as 26,703/27,122 " respectively. A change of plan for my holidays brought me to Canada. 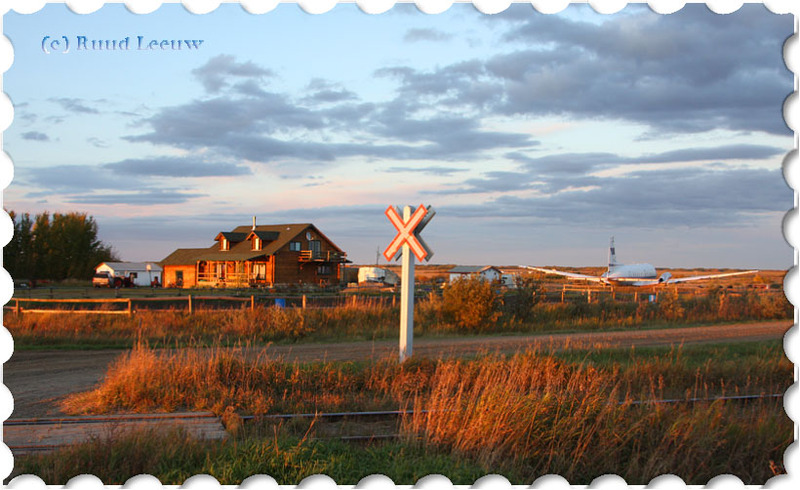 I intended to visit Churchill,Manitoba for the polar bears but found I was going to be too early and could not postpone my travelling plans. 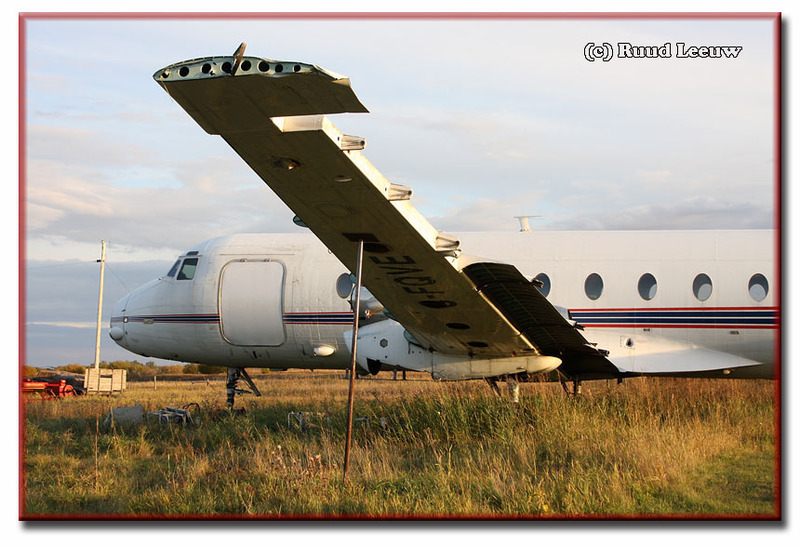 After a long drive through parts of Alberta and Saskatchewan, I arrived at Saskatoon and first visited the stored Canadair Metropolitans. Cory lives quite a distance out of town, so I arrived when the light was quickly diminishing. 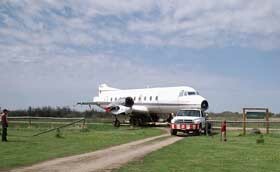 Fortunately it was a beautiful day and I had plenty of time to admire Cory's Hawker Siddeley 748. 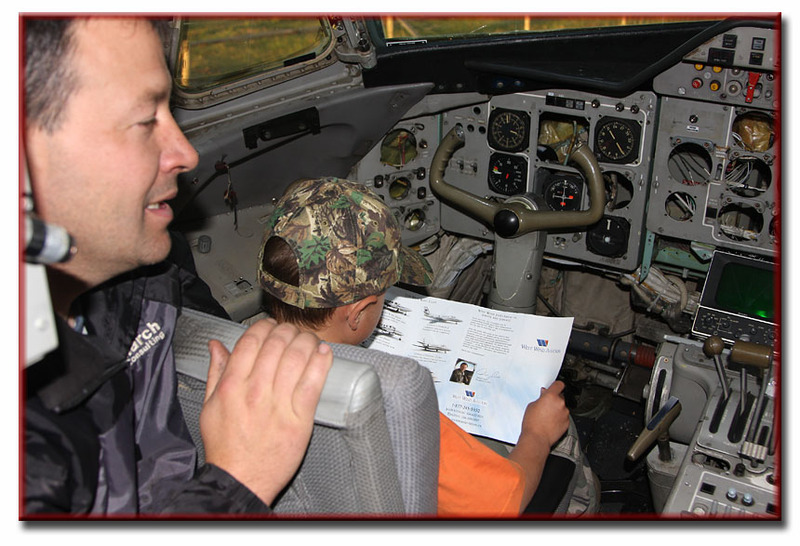 Cory's fascination with aviation started because his grandfather flew Lancaster bombers in WW2. He was told a lot of cool stories. 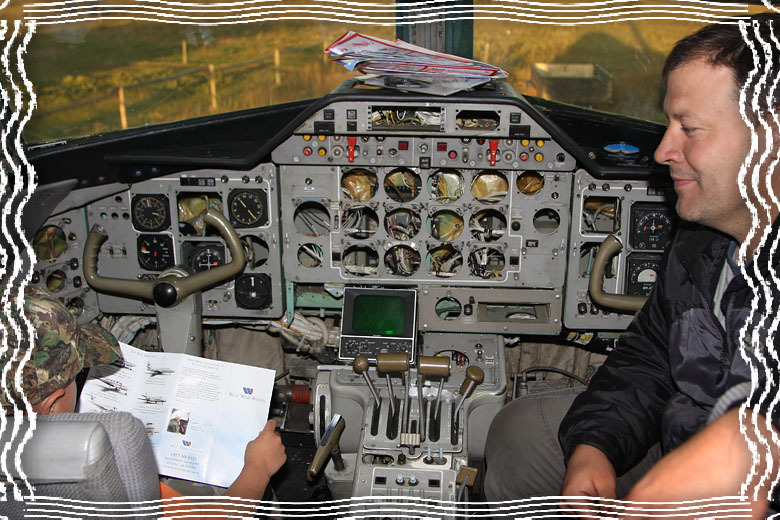 He likes to visit air museums (actually, almost any museum) and see how it was 'done in the old days'. He and other members of the family have an engineering background, so maybe it wasn't such a big leap to preserve his own plane. It wasn't? of course it was !! Cory and his wife have two kids. 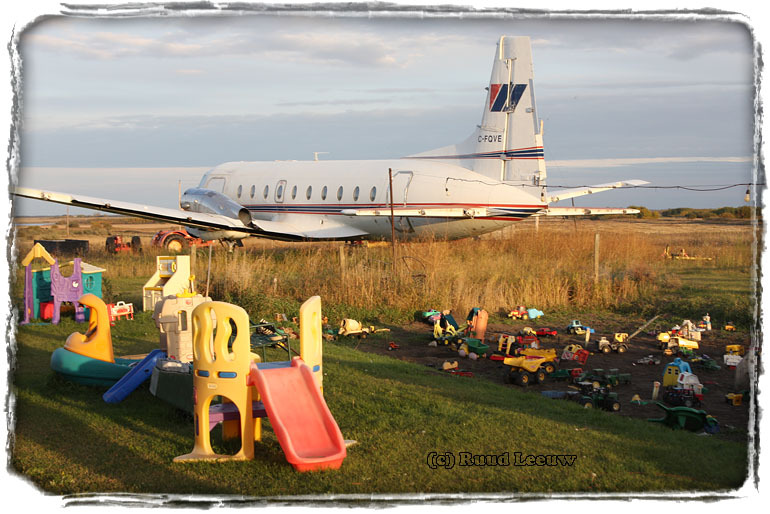 His kids are probably more enthusiastic about having a plane in their backyard than his wife, but she kept a brave face! I'm sure she is proud he is capable of doing unique things, though! 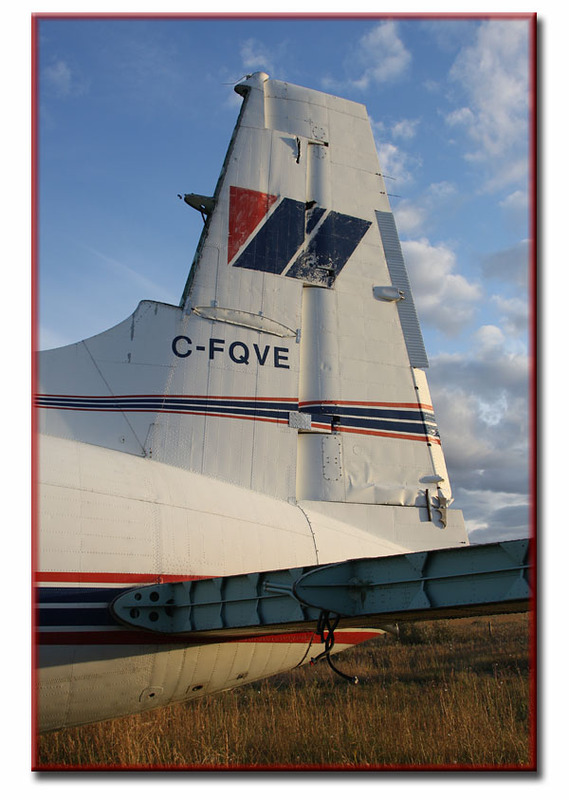 Time and resources permitting, Cory wants to continue restoration of C-FQVE and he would welcome help to locate instruments & spareparts. 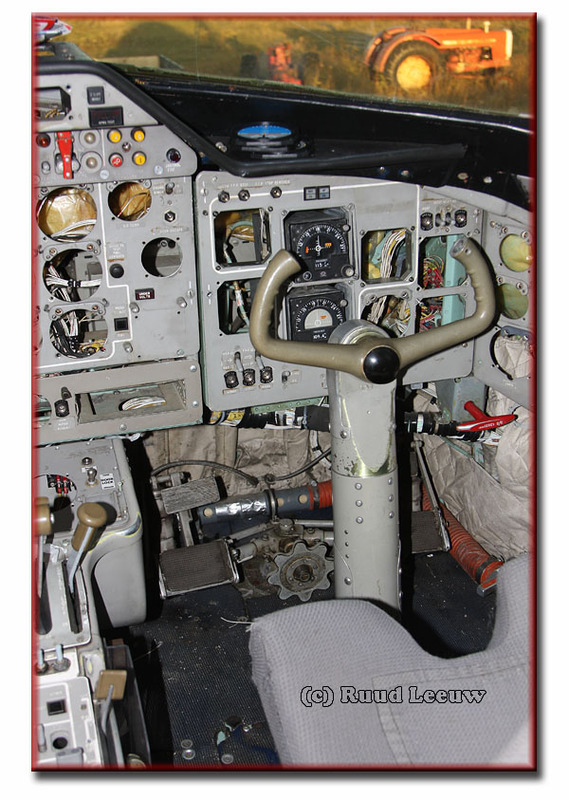 My fascination with (military) aircraft started in the 1970s, when I was still in school. One of my very first correspondents with whom I traded my slides was Harry Holmes in the UK. 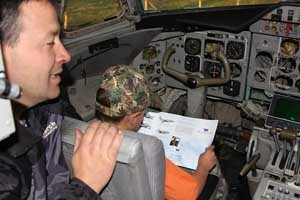 Harry was a sales rep for the HS748. We lost contact when I stopped trading in the 1980s, but I fondly remember his support and advise. A few years ago I established contact again, but found he had never switched to 'the digital age' and I found corresponding by written letters too cumbersome. Still, happy memories. The seats are from a jetliner, but I've forgotten which one. My thanks to Cory and his brother Darcy for their help and hospitality.